As you may have noticed, we are now circulating our Bulletin every two weeks. We hope that changing to a fortnightly cycle will reduce the workload for our Administration Staff whilst still providing interesting and timely communication to our School Community. Last weekend approximately 30 dedicated and hard-working parents attended our Repair, Care and Maintenance Day. They worked on a range of tasks around the school and made a real difference to our beautiful school site. Thank you to those parents who came and helped, your contribution is very much appreciated. This week I was lucky enough to watch some of the Year 8 performance of excerpts from Romeo and Juliet. The performances showed such a lovely understanding of both the emotional depth and the subtlety of Shakespeare’s word-play, they were a real credit to both the students and the quality of teaching. Well done Year 8 and Brook. Preparations are now well underway for our Autumn Festival. This week students were involved in a rehearsal of the event and each day preparations continue across the school. Please make sure you mark the date, Monday 21st March from 9.15 am, in your calendar. The festivals are such important occasions in the life of our school community, providing us with the opportunity to share together in marking the cycle of our seasons. 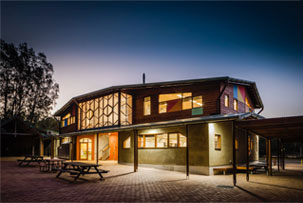 Finally, it is wonderful to have all of our Year 9 students and our staff back at school after the Year 9 camp. The response from both our staff and our school community to the recent critical incident has been truly affirming. We have a strong school community who are really able to pull together and care for each other when it matters most. I would like to personally thank the school community for the support you have shown, both to those directly involved and to those of us on the school staff working to respond to the incident. Your support is very much appreciated.